The February 2011 Physician Licensure Examination results were released by the Professional Regulation Commission (PRC) last February 25, 2011 wherein 655 out of 1,230 examinees successfully passed the Physician Licensure Examination (Complete, Finals and Finals with Prelims) given by the Board of Medicine in the cities of Manila and Cebu. For the complete February 2011 Physician Licensure Examination results, click here. 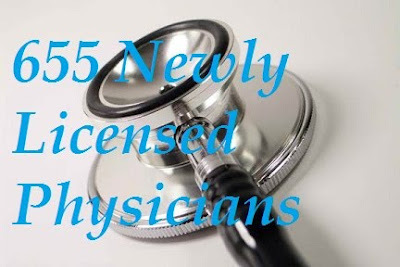 Congratulations to those 655 new physicians. They have a wonderful host of opportunities waiting for them. They can practice their profession here in the country or explore careers abroad. General practicioners and family physicians are currently included in the list of 29 In-demand Occupations in Canada. Other developed countries with a lot of aging citizens may need additional medical professionals.